A Nebraska health system introduces a methodology for the assessment and management of acute pain with a goal of decreasing opioid use in the hospital and after discharge. Neither problems, nor epidemics, occur in a linear fashion. There is usually an ebb and flow to the way issues come to a tipping point, and the opioid epidemic is no different. We will see that this crisis is in part self-inflicted, but more importantly, there is now an opportunity to make a direct impact on this crisis by changing the paradigm by which we assess and manage cases of pain in our nations’ hospitals. Consider some common misconceptions that have contributed to our current situation before looking at the template for success in treating acute pain. A lot of opioids are prescribed based on the patient’s subjective assessment of pain. While this may help make the patient “happy,” it is not in his or her best interest and leads to frequent adverse opioid-related events. To change the prevailing practice, there must be a crisis. Early in the 1990s, opioids were reserved for cancer pain or acute pain from trauma or surgery, because of their addictive nature. If one says it often enough, the people start to believe it — and such was the case with physician groups/societies beating the drum about the epidemic of untreated pain in our hospitals. Moreover, when poorly written case reports appearing in prestigious medical journals that expounded the illusion that opioids were not addictive if used “correctly” to treat pain, the dam broke open. No longer restrained by any historical common sense and fueled by a made-up epidemic of untreated pain, prescribing practices began to change — backed by medical societies, pharmaceutical companies and the Joint Commission (the regulatory agency responsible for the safety in and the quality of our hospitals). By the way, can anyone produce any data to support the premise that there has ever been an epidemic of untreated pain? Misconception 2: Pain should be the fifth vital sign. If there is an epidemic of untreated pain, it follows that there must be a way to make the pain “more visible” in an acute care setting. The American Pain Society announced that pain should be classified as the fifth vital sign. Like blood pressure, heart rate, respiratory rate and temperature, pain apparently is now visible, too. Classifying pain as a vital sign has been the biggest mistake in modern pain management. Pain is a subjective feeling that is impossible to accurately and consistently quantify across patient populations. Therefore, for providers to assess pain as a vital sign, they must ascribe a numerical value to it, such as zero to 10. If there is an epidemic of untreated pain, and pain is a vital sign — with my pain being a 10 out of 10 — and we are told opioids aren’t addictive, then bring on the drugs until I’m comfortable. Let’s talk about a prescription for the overtreatment of pain. Even the Joint Commission caught on and, in 2002, addressed the problems of using the fifth vital sign as a concept, by describing the “unintended consequences” of this approach. In 2016, the American Medical Association and the American Academy of Family Physicians both recommended dropping pain as a vital sign. But after nearly three decades, the damage had been done. For example, according to the American Society of Addictive Medicine, from 1999 to 2008, overdose death rates, sales and admissions for substance-use disorder treatment — related to prescribed pain relievers — increased in parallel. The overdose death rate in 2008 was nearly four times more than the rate in 1999. Subsequently, drug overdose is now the leading cause of accidental death in the United States. We have all heard the term “patient-centered care,” but what does it mean? As a direct result of addressing and improving the experience of care as recommended by the IHI, in patient-centered care, an individual’s specific health needs and desired health outcomes are the driving force behind all health care decisions and concomitant quality measurements. The prestigious New England Journal of Medicine says, “Patients are partners with their health care providers not only from a clinical perspective but from an emotional, mental, spiritual and financial perspective.” The 2010 passage of the Affordable Care Act placed financial incentives and penalties on how hospitals ranked with respect to their patients’ experience of care. Embedded in this “experience” was pain control. Hence, since the IHI’s development of the Triple Aim back in 2008, we have morphed into the treatment of patients in hospitals as though it must be a Disney-like experience and the patient must always be correct, especially when it comes to the treatment of their pain. To improve one’s hospital experience, we must focus on standardized care that will result in high-quality outcomes. Instead, we have seemingly improved the patient experience by equating it with happiness without pain, which is identical to the case of overtreatment with opioids. Misconception 4: Opioids, if used correctly, are not addictive. Here is my question: How does one use opioids correctly? More than 60 percent of the pills in the average opioid prescription go unused, indicating that the treatment of acute pain is mere guesswork. Studies report a wide range of opioid use in the percentage of patients who become dependent. The findings appear to vary based on how opioid use is monitored — a condition that requires the prescription, the specific form of opioid and the prescribed dose. In some cases, the rate of addiction has been reported to be as high as 30 percent. Four of five new heroin users usually start out by misusing prescription painkillers. If I am younger than 25, do I have more of a chance of becoming addicted later in my life? If I have a history of drug or alcohol use and consequent disorders in my family, am I more likely to become addicted? If I use opioids to treat my pain, can it increase the pain that I have? If I refill my prescription more than once, does it increase the likelihood of addiction? If I have a predisposition toward or am being treated for anxiety or depression, am I more likely to become addicted? The younger you are when you are exposed to opioids, the higher the likelihood of addiction later in life. The prefrontal cortex is not fully formed until age 25. This means that alterations in the “feel-good” neurotransmitters, specifically dopamine (released by opioids), can have an effect that predisposes the person toward future opioid use. Because teenagers have an overactive impulse to seek pleasure and less ability to consider the consequences, they are especially vulnerable to the temptations of drugs and alcohol. Moreover, because the internal reward systems are still being developed, a teen’s ability to bounce back to normalcy after using drugs — even those prescribed for acute pain — might be compromised due to the way in which the drugs affect the brain. Another confounding factor in today’s teenage world is the effects of social isolation due to technology, which increases the feel-good power of dopamine release as a result of opioid exposure. You are more likely to become addicted to opioids if there is a history of drug or alcohol use and consequent disorders in your family. This comprises important information that must be relayed to a health care provider who feels the need to prescribe opioids to you. With opioid-induced hyperalgesia, the opioids themselves increase the body’s sensitivity to pain by overamplifying the pain signals that go to your brain. Some might confuse this with tolerance, but tolerance to opioids is a slow process and can be overcome with increase in dosage. Opioid-induced hyperalgesia is a condition that can be brought on rapidly, sometimes just after the single use of a powerful, short-acting opioid such as remifentanil. In addition, this condition is only made worse by increasing the dosage. Multiple refills for prescription opioids are associated with continued use after one year. This might lead to tolerance and entail an escalation in dosage, which later might lead to long-term use and, consequently, physical or psychological dependence. There is a line between dependence and addiction, but you do not want to be in either category. Anxiety and depression are fertile grounds for the euphoric effects that follow the dopamine surge from opioid use. When an individual feels better psychologically, their pain is alleviated as well. The concomitant issue arises — what is the goal of treatment? If the acute pain of an event is gone but an individual still asks for opioids, questions should be asked regarding history of anxiety and depression. Misconception 5: Opioids are easy to stop once a person has started taking them. This issue speaks directly to the facets of dosage and duration. We have already touched upon the fact that a high dose and long duration can lead to dependence and addiction. However, what has not been brought to light is how opioids alter the pain defenses of our bodies. Our brain releases its own endogenous opioids, called endorphins and enkephalins. These powerful neurotransmitters bind to the same receptors as opioids, albeit with less potency. By taking exogenous opioids, one signals the brain that there is no need to produce its own. Thus, when one stops the medication, the body’s ability to deal with “usual” pain is diminished. This brings up an interesting question that will be discussed in great detail when we discuss the new kinds of assessment and the treatment of acute pain in the hospital setting: To what degree should pain be treated with opioids, so as to avoid its unintended consequences? There is no silver bullet to deal with the opioid crisis. Let us remember that this is not the first time that human civilization has had to deal with this problem. Opioids have been around for more than 3,000 years and, throughout history, there has always been subsequent dependence and addiction. My hope is to use the knowledge we have in addition to lessons learned to make future prudent decisions. As a result of some of the aforementioned misconceptions, the last three decades of acute pain management have been opioid-based as well as patient-centric. In other words, a lot of opioids are prescribed based on the patient’s subjective assessment of pain. While this may help make the patient “happy,” it is not in his or her best interest and leads to frequent adverse opioid-related events as well as drug abuse. This is just a politically correct way of saying that since we have let the patients decide when they’ve had enough opioids, many high-risk patients consequently have paid the ultimate price. It is time to move to a 21st century model of pain assessment and treatment in the acute care hospital setting. Let’s make one thing clear: We are not talking about cancer-related pain or chronic pain, but specifically focusing on acute pain because of injury or surgical procedure. Although the same methodology can be used for these other classes of patients, it is beyond the scope of this article. Faith Regional Health Services in Norfolk, Nebraska, has embarked upon a unique strategy to assess and manage pain. The trademarked phrase, Opioids Rarely Help Bodily Pain, is not merely catchy but also a mnemonic related to educational learning that serves as the cornerstone of a new acute pain paradigm. As is known, the evaluation of pain is extremely difficult because of its subjective nature. However, this new evaluation not only accounts for the patients’ self-assessment but, for the first time in a hospital policy format, incorporates objective measures of pain into a global assessment matrix. When we ask the patient to rate their pain using the numeric pain scale, the answer will be a number. More importantly, however, we follow up by asking whether that “number” equates or qualifies their pain as tolerable or intolerable. Our goal is to render the pain tolerable, that allows the patient to meet the daily goals of physical therapy or specific milestones while heading toward discharge. To finish our assessment, the objective component must be completed prior to any change in the analgesic treatment. Following are the five pillars based on the Opioids Rarely Help Bodily Pain treatment plan. In most cases, if three out of five of the objective signs are positive, it may confirm intolerable pain. On the contrary, if there are objective signs that suggest overtreatment, then the need to de-escalate analgesic therapy might be indicated. Observation. Is the patient grimacing, screaming, diaphoretic, combative, crying, sleeping, drowsy, etc.? This observation must be made after confirming that the physical/verbal symptoms are not because of delirium, hypoxemia, hypercarbia, acidosis or other metabolic issues that may be confused with the outward appearance of discomfort. If the patient appears drowsy, somnolent or obtunded, then overtreatment is indicated. Respiratory rate. Respiratory rate is an excellent objective indicator and a guide with respect to analgesic therapy. A normal range of respiratory rate is between 12 and 20 breaths a minute. These are actual breaths associated with ventilation of adequate tidal volumes including not-attempted, shallow or obstructed respirations. As with all the objective measures, the neurologic, metabolic and cardiogenic factors must be considered to validate the observations. A respiratory rate greater than 20 would be a positive indicator, while a respiratory rate less than 12 might indicate overtreatment. The evaluation of pain is extremely difficult because of its subjective nature. This new evaluation incorporates patients’ self-assessment and objective measures of pain into a global assessment matrix. Heart rate. Heart rate is usually elevated when a patient experiences intolerable pain. However, if a patient is on a beta blocker, the heart rate’s response to pain may be masked. In addition, if a patient is hypovolemic, hyperthyroid, hypercarbic or has a hyperdynamic neuroendocrine disorder, the heart rate might still be misleading. But as a general rule, a heart rate that is 20 percent above the baseline would be considered as a positive indicator, while 20 percent below would be an indicator of overtreatment. Blood pressure. Blood pressure is usually elevated when a patient has intolerable pain. Again, we must stress that accurate objective measures are reliable only when a patient’s neurogenic, metabolic and cardiogenic states are optimal. As with heart rate, a 20 percent increase over the baseline would be considered as a positive indicator, while a 20 percent decrease would be considered an indicator of overtreatment. Pupil size. Pupil size is an often-missed indicator of pain. When a patient has intolerable pain, the pupils dilate. On the other hand, pinpointed pupils indicate the central nervous system’s response to a particular therapeutic opioid level. Thus, a patient’s dilated pupils in an optimal neurogenic, metabolic and cardiogenic state would be considered a positive indicator, while pinpointed pupils might be considered as an indicator of overtreatment. The aforementioned method, which is a new kind of assessment of acute pain, would not be complete without a change in the analgesic management. Gone are the days in which orders are written based solely on the patients’ self-assessed numeric values that are equated with a medication for mild, moderate or severe pain. After three decades of using this methodology, there have been no improvements in the management of pain while the complications of opioid overtreatment have continued to escalate. Faith Regional Health Services’ approach takes the results of the pain assessment and uses them as a guide for the purpose of analgesic management. At this point, it is important to say that the experience of pain is modulated by efferent pathways present in the brain. Therefore, it is crucial to offer patients nonpharmacological methods to help manage their pain. That said, we have implemented an analgesic pain ladder based on four tiers: Tier I comprises nonopioids, Tier II low-dose opioids, Tier III higher-dose opioids and Tier IV patient-controlled analgesic options. Within Tiers I to III are oral and intravenous alternatives. In addition to the tiers, there is a list of adjunct medications that might be chosen to complement them. Tier I and its adjuncts are scheduled medications, while Tiers II and III are PRN (when necessary). This assessment and management matrix allows the migration between the analgesic tiers; this results in escalation, maintenance and de-escalation of analgesic therapy. It is beyond the scope of this article to go into more detail. However, the Opioids Rarely Help Bodily Pain lecture series gives specific cases and scenarios, along with identifying the ways in which clinicians may modify the medications within the tiers. It must also be stressed that high-risk patients should be managed in a higher-acuity setting with commensurate monitoring. Our hope is that this new methodology for the assessment and management of acute pain will serve as a template for the rest of the country. The metrics for success are as follows: fewer opioids used each day, fewer transfers to a higher level of care because of respiratory depression, less Narcan use, higher patient engagement regarding pain management, improved length of the stay and no respiratory arrests due to opioid overuse. Dealing with cases of acute pain in the hospital setting is a multidisciplinary job. Newer regional techniques using ultrasound, long-acting local anesthetics and multimodal, nonopioid medications are helping to manage patients while using minimal to no opioids. This will directly affect the community. If a clinician can minimize a patient’s pain before discharge, this can help decrease the number of opioid pills being used at home. More than 60 percent of opioids go unused, and many work their way into the hands of the public or family members for illicit use. However, we believe this paradigm shift regarding pain assessment and management will help to not only manage acute pain more effectively but improve patients’ safety by decreasing opioid use both within the hospital and after discharge. This is one hospital’s Rx for the opioid epidemic. Myles Gart, MD, MMM, is director of acute pain management for Faith Regional Health Services, based in Norfolk, Nebraska. 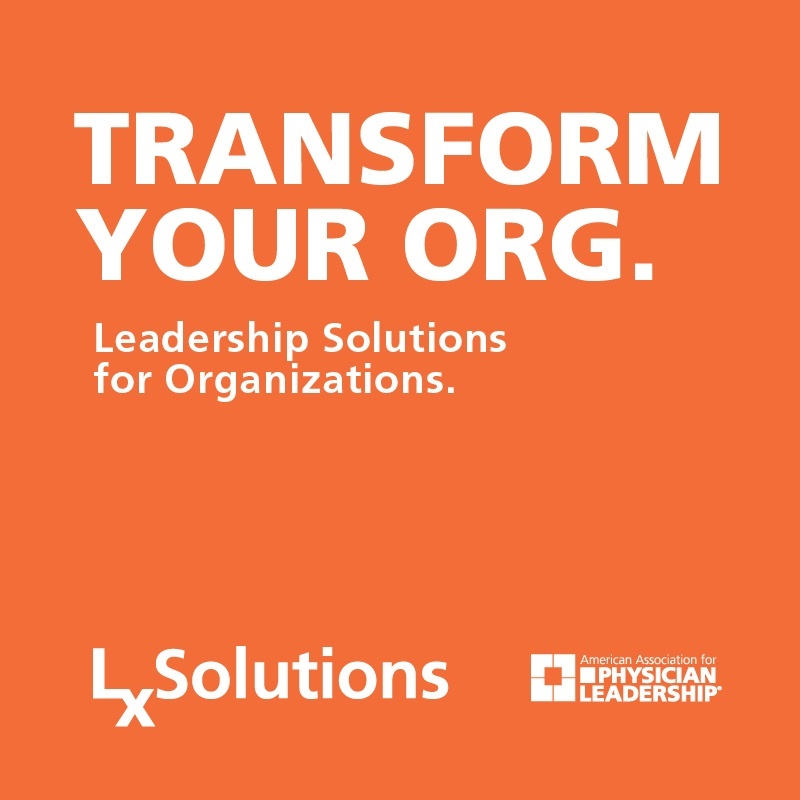 He has been an American Association for Physician Leadership member since 1995. The Joint Commission. Statement on Pain Management. Apr. 18, 2016. McCarthy M. ACA and the Triple Aim: Musings of a Health Care Actuary. Benefits Quarterly. 2015;31(1):39-42. Gart M. Pain Is Not the Fifth Vital Sign. Medical Economics. May 20, 2017. Gart M. Why Do We Keep Prescribing Heroin for Our Patients? KevinMD.com. Sep. 27, 2017. Gart M. Isn't It Time for a 21st Century Pain Assessment? Medical Economics. Aug 7, 2017. Perelman School of Medicine at the University of Pennsylvania. 100 Million Prescription Opioids Go Unused Each Year Following Wisdom Teeth Removal, Study Estimates. Science Daily. Sep. 22, 2016. Gart M. You’re Wrong, Pain Is Not a Vital Sign. KevinMD.com. May 25, 2017. Zimmerman B. How Opioid-Free Anesthesia and Multimodal Pain Management Can Improve Care and Address a Public Health Crisis. Becker Hospital Review. Feb. 6, 2018. Dalton C. When Opioids Make Pain Worse. NPR. May 3, 2018. Tennant F. Using Objective Signs of Severe Pain to Guide Opioid Prescribing. Pain Treatment Topics. June 2018. Lowes R. CDC Issues Opioid Guidelines for “Doctor-Driven” Epidemic. Medscape. Mar. 15, 2015. Hurd Y, Salsitz E. and Addiction Institute at Mount Sinai Health System. Opioid Addiction FAQ: Experts' Guide to the Hard Facts. New York Daily News. June 23, 2017. Gart M. The Roots of Opioid Addiction. Omaha World Herald. Sep. 29, 2017. Perelman School of Medicine at the University of Pennsylvania. Even Small Quantities of Opioids Prescribed for Minor Injuries Increase Risk of Long-Term Use. MedicalXPress. May 17, 2017. Gholipour B. Most Teens Who Abuse Opioids First Got Them from a Doctor. Live Science. Mar. 20, 2017. Velayudhan A, Bellingham G, Morley-Forster P. Opioid-Induced Hyperalgesia. Continuing Education in Anaesthesia Critical Care & Pain. 2014; 14:3. American Society of Addiction Medicine. Opioid Addiction 2016 Facts and Figures. Anson P. AMA Drops Pain as Vital Sign. Pain News Network. June 16, 2016. 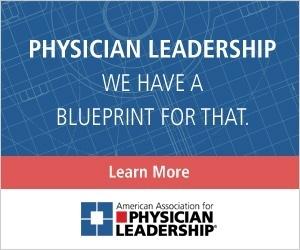 American Academy of Family Physicians. AAFP Commits to Addressing Opioid Crisis. May 11, 2016.